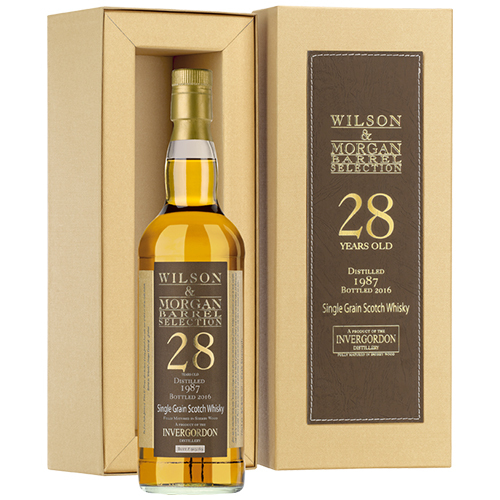 For this Special Release, we chose a very old Invergordon with an unusually noticeable influence from the second fill sherry cask. From its amber colour, and its dry winey nose, we know that it won’t be the usual crisp grain whisky full of vanilla and mint… and the first sip confirms the olfactory impression. A very toasted note of charred oak, a definitely nutty character, the unmistakeably winey character of the Oloroso sherry and a leathery hint are the dominant traits. Sure, it still obviously is a grain whisky, with its typically sharp and clean structure and with plenty of fresh aromatic herbs, but it has gained more body and complexity. The finest balance between grain and sherry, without the wine dominating too much the delicate distillate.